THE body of a vulnerable elderly man who went missing from his home for several days in sub-zero temperatures has been found near a farm. Edward Gallagher, 78, went missing on Monday morning from his home in Barlia Drive in the Castlemilk area of Glasgow. A search was launched for the pensioner, who had dementia, and was last seen getting off a bus in the early hours of Tuesday. Mr Gallagher’s body was found near Mid Netherton Farm, in Glasgow’s Carmunnock Road, on Friday afternoon. His relatives have been told. 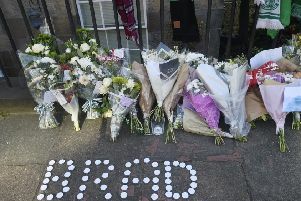 Police Scotland said there are no suspicious circumstances surrounding his death and a report will be sent to the Procurator Fiscal.